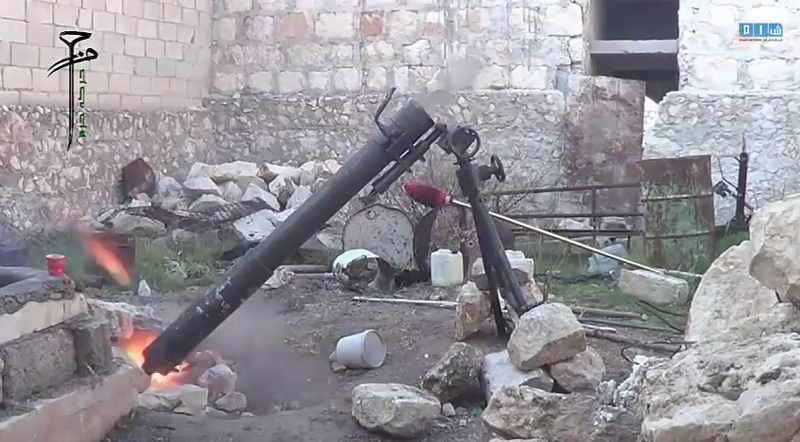 One of the most devastating weapons used by rebel forces in the Syrian Civil War is the 'Hell Cannon'. This device, made in backyard workshops functions as a large caliber mortar, capable of propelling very large amounts of DIY explosives over a kilometer in range. In this video we can see the moderate Free Syrian Army faction called "Harakat Hazm" firing a Hell Cannon at what appears to be a Syrian government position.